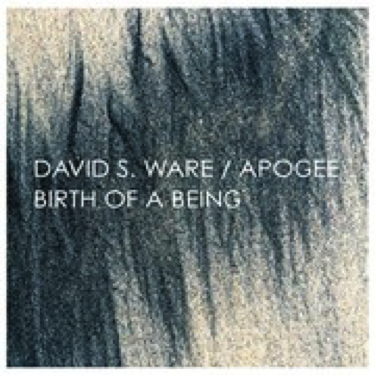 Birth of a Being is David S. Ware’s first recording as a leader, featuring his first trio, Apogee, with pianist Cooper-Moore and drummer Marc Edwards. They formed the band in Boston in the early Seventies, and moved to New York where they had some impressive gigs as part of the loft scene. When Ware and Edwards were offered the chance to play with Cecil Taylor’s Unit (on Dark To Themselves and the following tour), Cooper-Moore moved back near his birthplace in Virginia. In April 1977 however, they reunited and quickly recorded the material for this album, released on LP by the Swiss label Hat Hut Records. It‘s been out of print for over 30 years but fortunately, AUM Fidelity’s Steven Joerg has now released an extended version with previously unreleased material from the sessions as a double CD. Listening to this music is pure joy. Until then, the trio had mostly performed completely free music with the high-energy impetus many favored in these days. But for these sessions Ware introduced some themes, such as on the opening “Prayer“, a typical Ware piece, built around a gospel melody and gradually wandering astray. 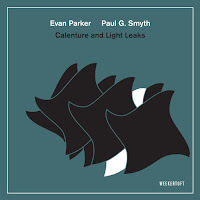 At the center there’s a tender, intensely lyrical tune which evolves into burning, atonal free jazz. 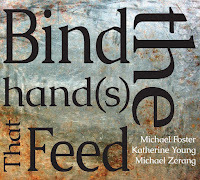 Yet, “Prayer“ has simple harmonic configurations which radiate beneath the seething surface. As drummer Marc Edwards recalls: “We always operated from a melodic angle, that was our specialty“. 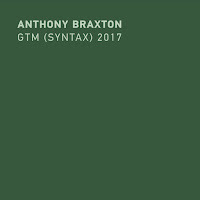 When the group moves beyond notated parts they create a monstrous vortex governed by Ware’s long, circular phrases and idiomatic howls and cries. He takes Coltrane’s spirituality and power, transformed to a new, freer level of expression and exploration. Likewise, with Cooper-Moore’s piano, using McCoy Tyner’s hymnic arpeggios, combined with atonal Tayloresque phrases. Edwards scatters machine-gun fire, building tension through raw power. 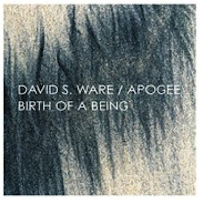 On his first release Ware displays the fundamentals of his musical vision for the following years, which he would elaborate with his legendary quartet with Matthew Shipp, William Parker and various drummers (Whit Dickey, Guillermo E. Brown and Susie Ibarra). These include clarity and order, compositional depth, and a defined musical vocabulary, producing music which was fiery, but always tender and humble. Another characteristic feature is Ware’s stretching and compression of time, which he learnt from Cecil Taylor and Andrew Cyrille, and what he called the “shifting of time“ and the “inner details of a piece“. For example, in “Thematic Womb“, which starts with an angular, four note figure, in front of piano chords, the drums throw in short rolls. Although there are hints of what might follow, the composition seems open and airy. After two minutes there’s an acceleration and Cooper-Moore’s clusters become more hectic. Ware gradually pulls away from the center of the harmonic structure and after six minutes he delivers something brutally dense, while Cooper-Moore and Edwards push back with relentless stamina. Time seems out of control, with the collision of Ware’s harsh overblown lines, Cooper-Moore’s fast runs and Edwards’ violent salvos. It’s like a dragon breathing in and then spitting out fire. Only in the last two minutes does the piece calm and time is expanded again. 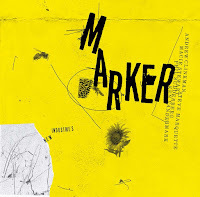 Ware and Cooper-Moore would revisit this idea years later on Planetary Unknown: Live at Jazzfestival Saalfelden 2011 with bassist William Parker and drummer Muhammad Ali, the saxophonist’s last recording. Lastly, the group presents a real collective undertaking, playing together with few solos. 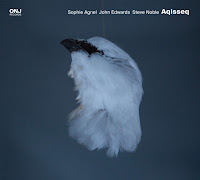 Towards the end of the album there’s Cooper-Moore’s piece “Ain’t Gonna Let Nobody Turn Me Around” starring him on the ashimba, an 11-note wooden xylophone he built, and on the closing track “Solo“ Ware shines unaccompanied. Compared to his later solo albums it’s an almost conventional, yet beautiful track. Birth of a Being is a must-have for fans of the great tenor saxophonist and for anyone who is interested in the Seventies free jazz loft scene. You can buy it from www.downtownmusicgallery.com and www.instantjazz.com. "Listening to this music is pure joy." Could not agree more. Excellent review, Martin! Thank you very much, Lee. For some reason "Birth of a Being" has fallen through the cracks, we should have reviewed it much earlier. It's an excellent album that says a lot about how Mr Ware has developed as a musician. I've listened to it quite often and I always discover something new.